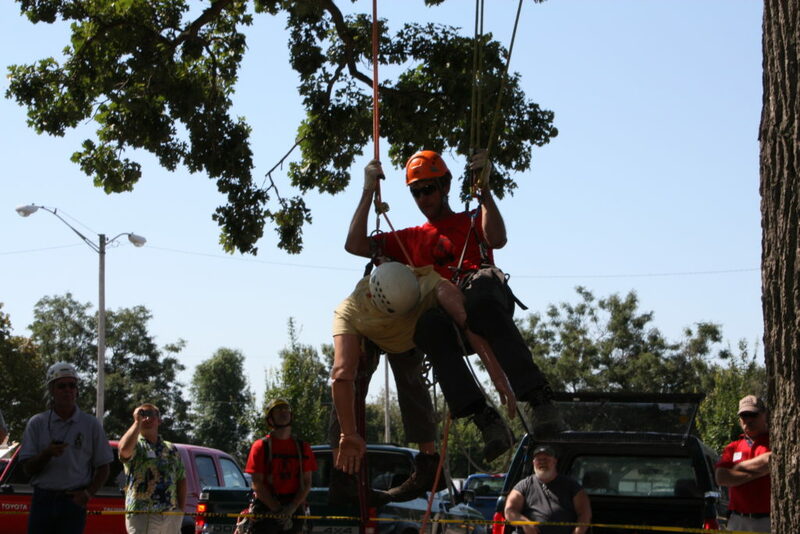 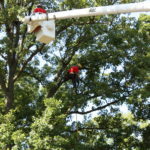 Removing trees safely and minimizing the damage to your lawn involves highly skilled experts using bucket trucks, ropes and pulleys to cut and lower the tree safely to the ground in sections. 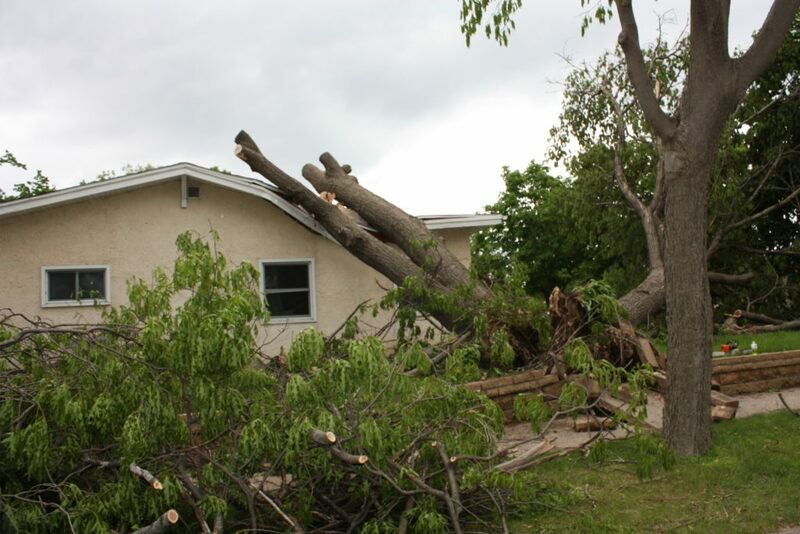 We take every precaution necessary to minimize the impact this has on your property. 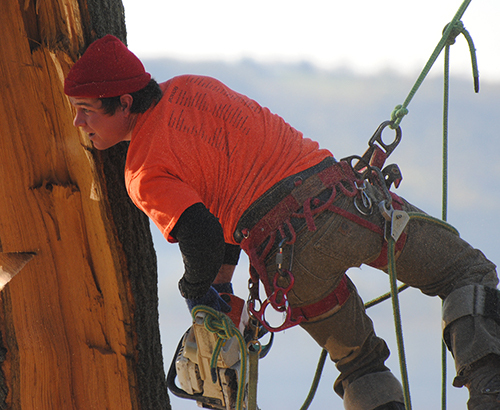 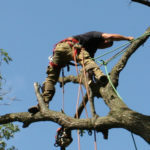 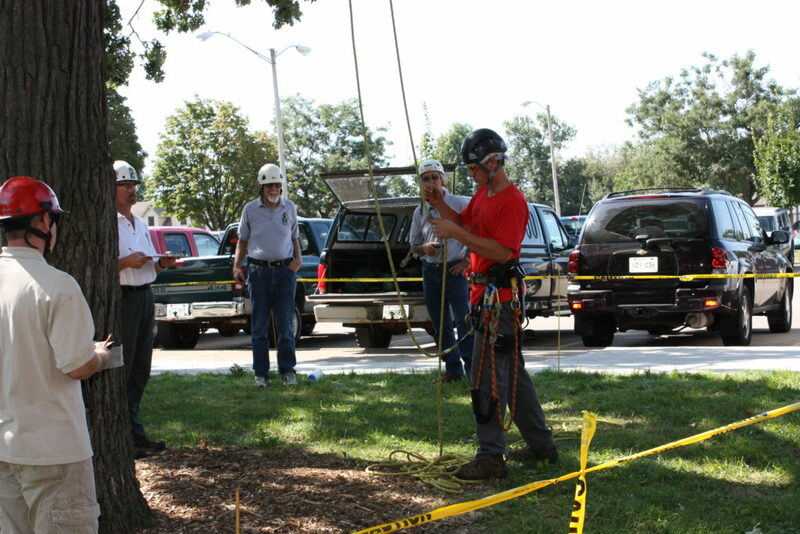 Our skilled team of professionals climb trees to cut dead or broken limbs which gives them precise control of their work. 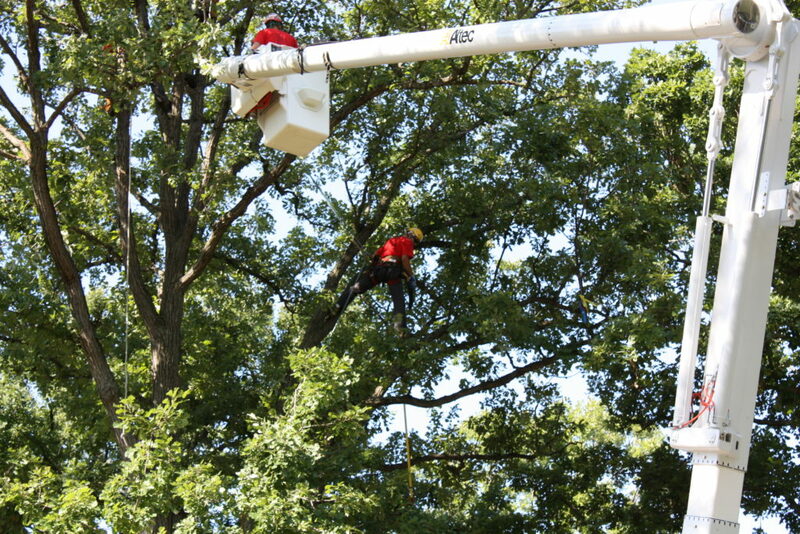 Limbs are safely lowered to the ground. 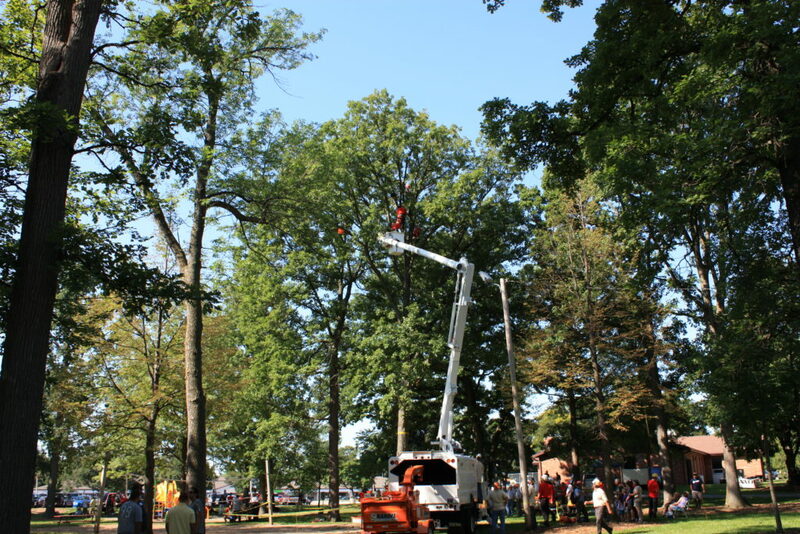 This method minimizes the need for heavy equipment and prevents unnecessary damage to your property. 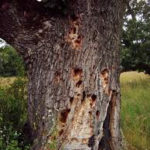 Tree stumps are ugly and sometimes dangerous. 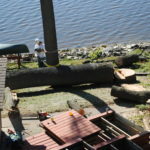 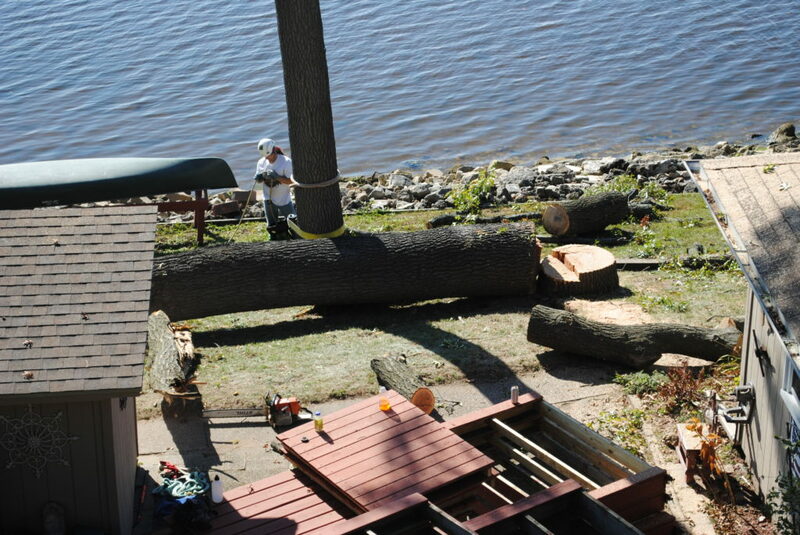 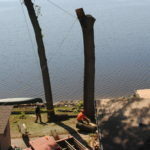 Our team will remove large tree stumps and clear the area. 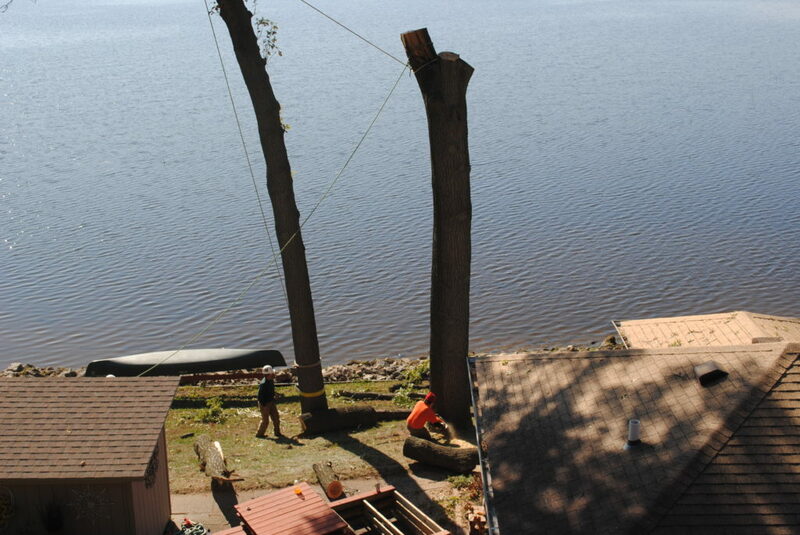 Nobody would ever know a tree, let alone our crew, was even there. 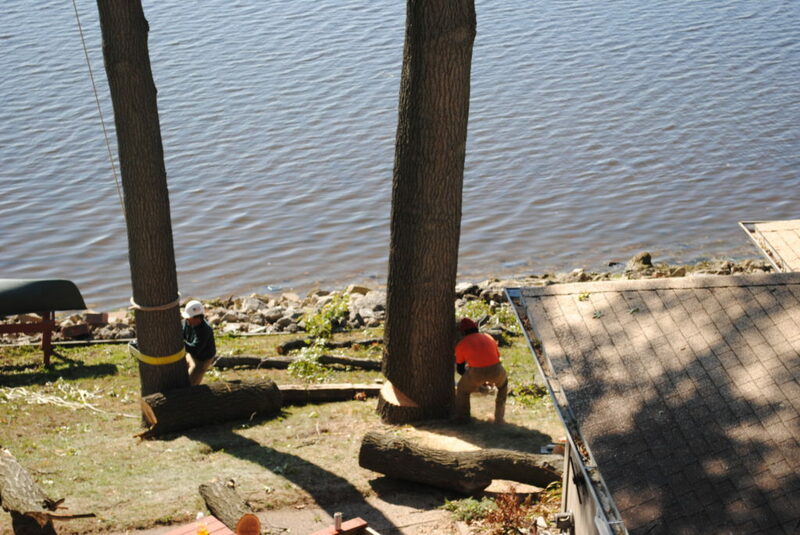 Trees enhance the overall value of your property. 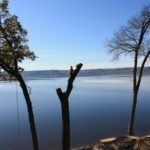 Let us help you develop a long term plan which includes planning for future trees, identifying dying trees and ongoing maintenance so your trees thrive for years to come. 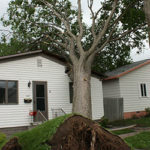 Disasters happen. 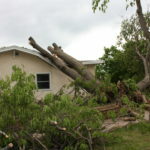 Storm damage can happen day or night. 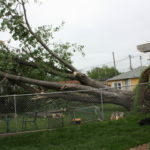 If tree damage is blocking your driveway or has damaged your home and needs to be removed immediately we can respond in a timely manner. 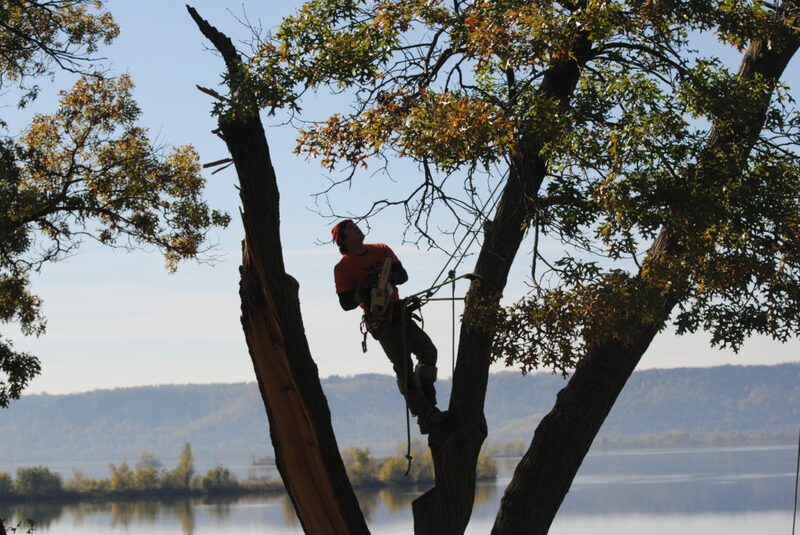 Call us for Emergency service. 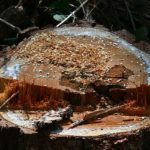 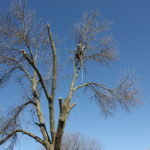 Professional Tree Care is a full service, fully insured provider of tree trimming, tree removal, stump grinding and tree maintenance. 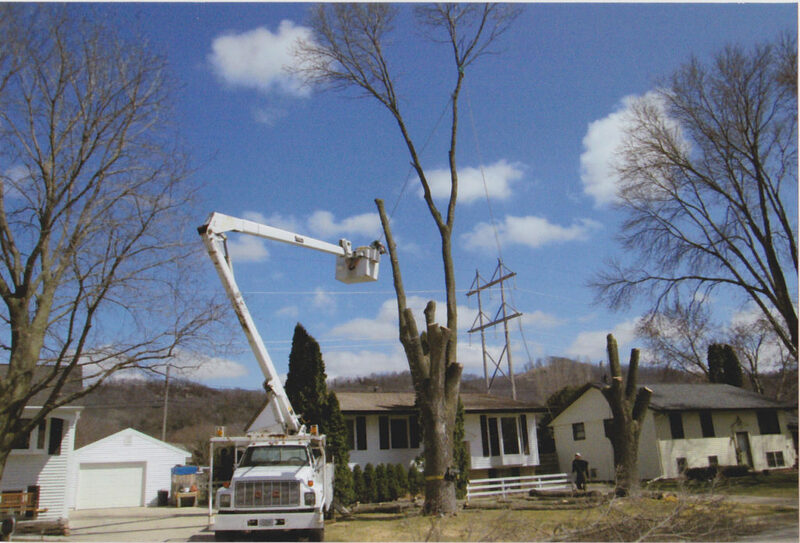 We service residential customers in La Crosse, Onalaska, Holmen and West Salem. 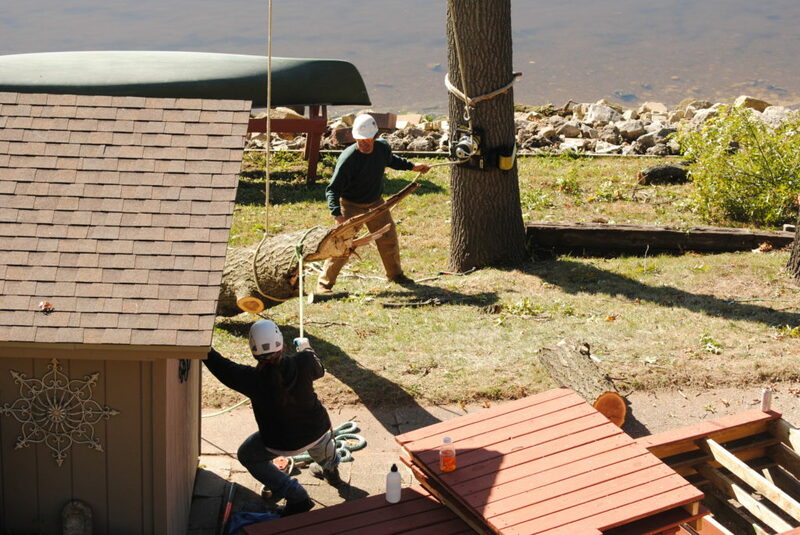 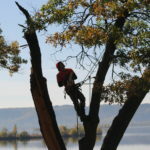 Tree trimming and removal require different approaches which is carried out by our skilled professionals. 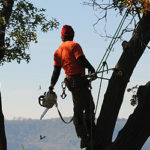 Tree trimming is usually done by climbing the tree to cut unhealthy or dead branches. 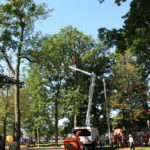 This gives us precise control of our work and usually means no use of heavy equipment that creating tire ruts in your lawn. 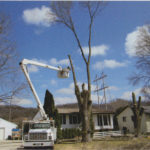 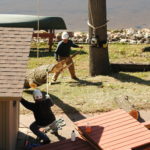 Tree Removal is often more involved and requires use of heavy equipment including ropes and pulleys to lower larger limbs slowing to prevent damage to buildings and grounds. 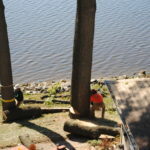 We will use materials to prevent tire tracks and ruts in your lawn. 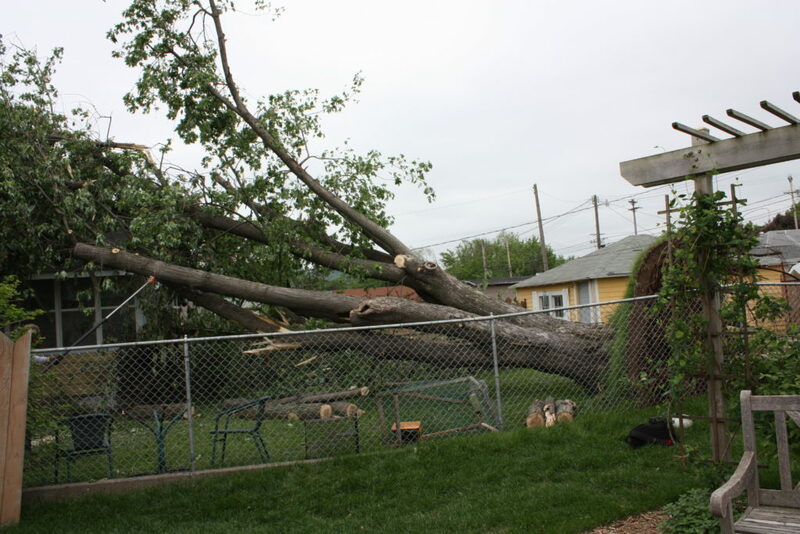 Our crew uses rakes to clean up any debris and will leave your yard looking as good or better. 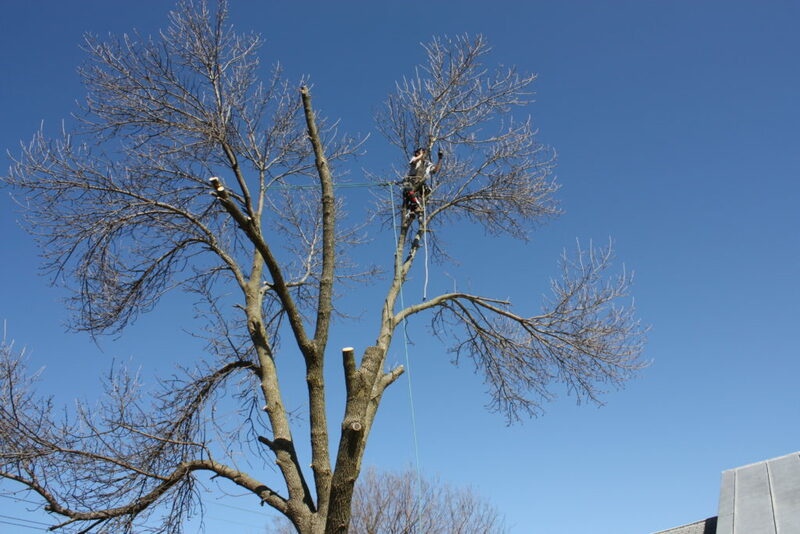 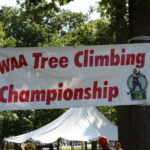 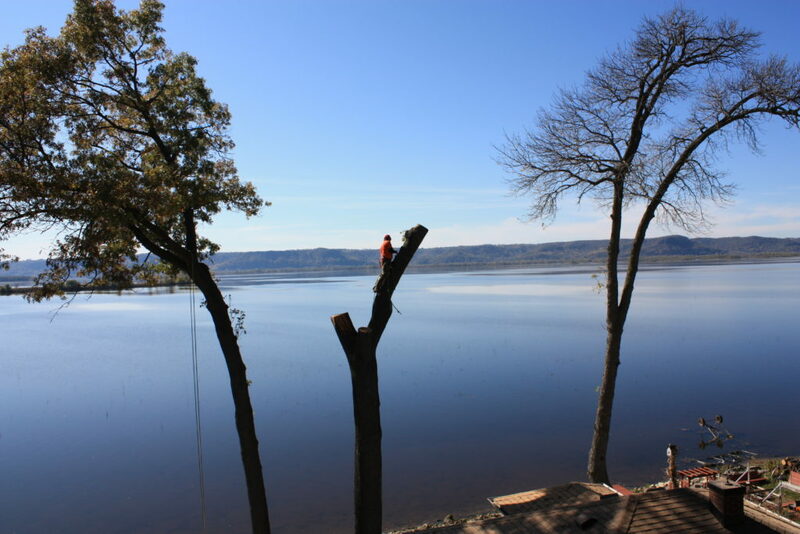 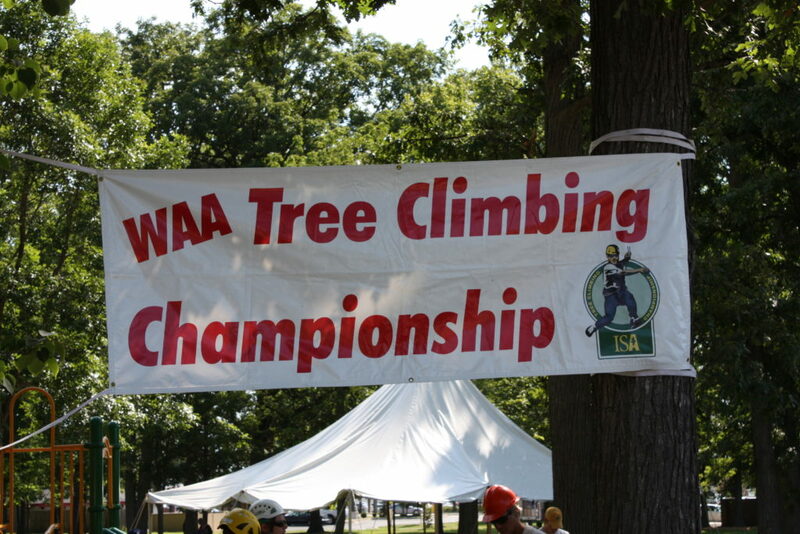 Owner Phil Skaff has over 30 years experience following established guidelines endorsed by the Wisconsin Arborist Association.